Snapchat is known for its cool filters and for being the first app to introduce stories. These days we can find this stories feature in almost all social network platforms. Apart from this snapchat also have some other attractive features such as you can create your own Bitmoji you can add people with snapcodes etc. Shazam is also one of these amazing features that you can utilize with Snapchat for making conversations even more fun. 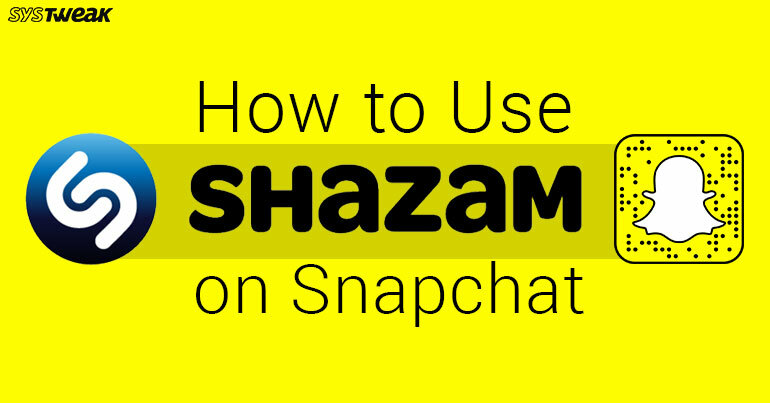 In this article you will find that how you can use Shazam on snapchat. Shazam is capable enough to identify movies, music, advertising, and TV shows, on the basis of a short sample played and using the microphone on the device. Snapchat is now having this application inbuilt you can use it to identify songs quickly, to share them with your friends, to follow artists and to listen those songs whenever you want. Open Snapchat app on your Smartphone. Press and hold on the camera screen to Shazam a song that’s playing. You will see the Shazam pop up once the song is identified. On this pop up you can share the shazam or can follow the artist. You can share the shazam with your friends on snapchat Whatsapp, Facebook etc. but you cannot share Shazam as your story. How To Find Your Previous Shazams? Snapchat can store 16 Shazams so if you are using this feature just to identify the song which is playing and to listen it later then here is how you can find your Shazams. Open snapchat and tap on the ghost icon given at the top left of the screen. This will open your profile on snapchat. Now tap on the settings icon on the top right. Scroll down and tap on Shazam. You will see the list of your Shazams tap on anyone of them and the app will take you to song’s Shazam page. Tap on listen given at the bottom and you will be able to listen the song. This is how with all the amazing features snapchat can also help you to identify the songs playing in parties, supermarket or anywhere. Shazam is an amazing feature to know and follow the artists of your favorite songs and to follow them and the best part is you do not need to sign up on Shazam to use this feature of Snapchat.